Leave is typically ten days and starts the day after graduation. 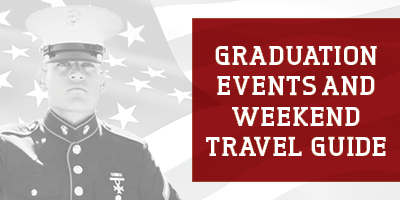 New Marines must pay for their own travel expenses. 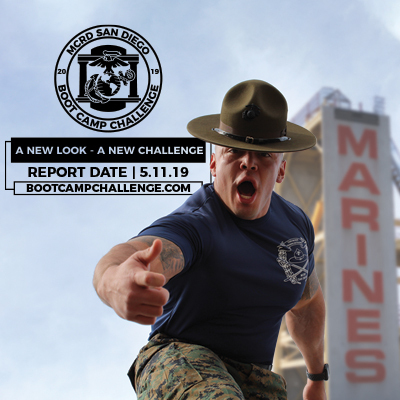 Most Marines report to Marine Corps Base Camp Pendleton. 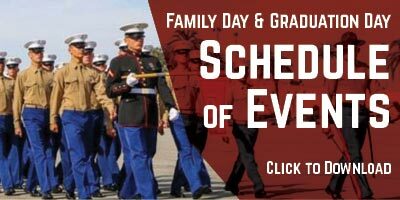 New Marines report for duty on day (11) eleven at Marine Corps Base Camp Pendleton, CA by 3:00 PM pacific time. The information provided is a general guidline only. Information subject to change. New Marines should confirm information before traveling. Under Navy Region Southwest’s Mexico liberty policy and USMC Order P1050.3H, service memebers E-3 and below are restricted from crossing into Mexico without written permission and a liberty partner who is more than 18 years old. All service members, regardless of rank, must show the Border Shore Patrol military I.D. San Diego International Airport is host to one of the nation’s largest United Services Organizations (USO) center, providing our military with a “Home Away from Home” welcome respite while traveling. Recently relocated in March 2010, this 5,400-square-foot facility hosts well over 100,000 service members and their families each year. Members of the U.S. military and their families are welcome to enjoy the comforts of one of the nation’s largest airport USO Center. The center includes a large lounge with leather recliners, among other amenities, and is located on the ground level of Terminal 1, next to Alaska Airlines. The center is named after longtime serviceman to the USO, C. Neil Ash. During World War II, Ash was commissioned an Ensign in the U.S. Navy, and served in the Pacific. He was recalled to active duty for two years during the Korean War, rising to the rank of Lieutenant Commander. Ash has been a dedicated supporter of Sailors and Marines in San Diego for many decades, and conceived and led the successful 15-year campaign to open a cutting-edge USO Center at the Airport. To get to the USO from the Terminal one parking, simply walk across the pedestrian bridge at Terminal 1, take the escalator down to the first floor and turn left until you reach the USO. If you are arriving from a flight, Terminal 2 Baggage claim, travel East (Left), look for the USO signs. If you arrive from terminal 1 baggage claim, travel west (right) look for the USO signs until you reach the USO. The USO is located almost center of both terminals. For more information, please call 619.296.3192. Sea Breeze Shuttle services local military bases including Marine Corps Base, Camp Pendleton, for the low cost of $25.00, paid to the driver. The shuttles leave San Diego International Airport for Camp Pendleton at the following times: 1000, 1230, 1600, 1930, 2000 and 0030.